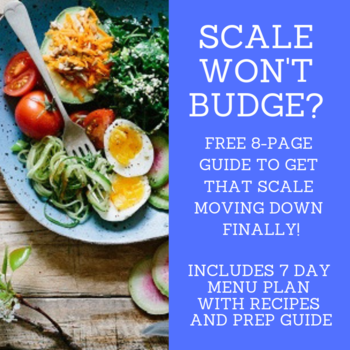 When you’re trying to lose weight, it’s easy to fall into a rut with your meal plans because it seems like there are so few foods that you’re allowed to eat. However, if you just get a little creative, you can come up with dozens of delicious and easy low calorie meals. One of these creative dishes may surprise you: sandwiches! 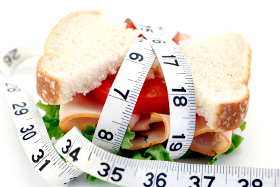 Eating sandwiches to lose weight? Wait — what?? You may be used to thinking of sandwiches as being high in calories, and it’s true that some are. But they don’t HAVE to be. Stay away from high fat, high calorie lunch meats, and instead think LEAN. There are lean varieties of pre-packaged lunch meats available, but you can also create your own delicious lean sandwich fillings. How about broiled chicken breast, sliced thin? How about baked fish fillet? How about shrimp, crab, lobster or scallops? Any form of lean meat, poultry or seafood can be used on a sandwich. See: Do You Eat These High Protein Diet Foods? Needless to say, white bread doesn’t do you any favors when you’re trying to lose weight. But there are so many delicious whole grain breads available these days. Choose one with low calories and high fiber. You can use pita bread, sandwich rolls, soft tortilla wraps, or just plain old whole grain bread. If you have a favorite bread but it’s not low calorie, compromise by using only one slice instead of two. See: Grains for Weight Loss: Are They Good or Bad? Making a sandwich satisfying requires lots of “filling” in the center. But when you’re trying to lose weight, you don’t want to add a lot of calories to your sandwich. The perfect solution is to pile on the fresh, raw veggies! Add a handful of shredded lettuce, baby spinach leaves, sprouts, sliced cucumbers, onions, radishes, tomatoes, carrots, celery – once you start experimenting with this you’ll wish your sandwich bread was bigger! A dry sandwich is kind of boring, so spreads add a little zing and moisture. Needless to say, good old fashioned mayonnaise is high in calories and fat, so it’s not the best choice for a weight loss sandwich. But there are many other options that can be just as delicious. Try various types of mustard, mashed avocado, hummus, and various flavors of low fat, low calorie salad dressing. Low fat ranch dressing is a fantastic replacement for mayonnaise in tuna salad, by the way! Try it, you almost can’t tell it’s not mayonnaise. Can you see now how eating sandwiches to lose weight is actually pretty easy? Just get creative; think outside the traditional sandwich box, and you’ll come up with plenty of delicious, nutritious ideas to try and enjoy. Healthy Eating Advantages — Why Should You Eat Healthy?